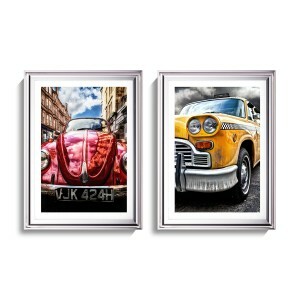 This pair of silver-frame artworks make a bold contemporary statement in your home. 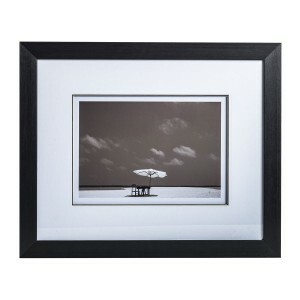 Each picture in the set measures 60cm by 60cm, creating an instant display on any wall. 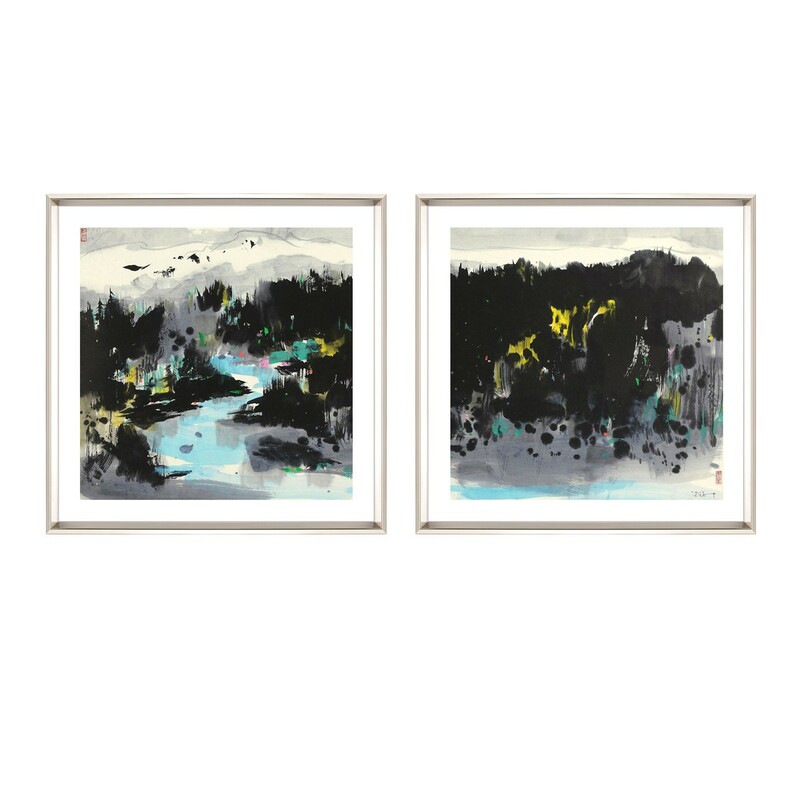 With a silver coloured frame, these complementary artworks feature an abstract representation of the landscape. 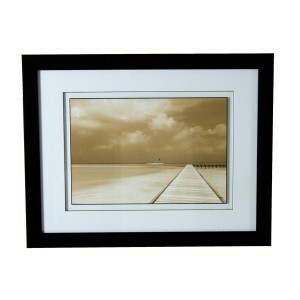 The perfect partners for a neutral room, the pictures introduce the natural landscape into your home. Hand picked by our design team, this set of artworks is part of our extensive collection of stylish contemporary artworks. 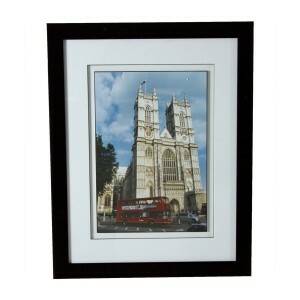 These lovely picturesare all you need to create an instant focal point. With their muted black and grey tones and tranquil theme, they look superb in any setting. The bold flashes of blue and gold in these pictures add interest to a neutral setting. Try picking out these hues in a cushion, throw or vase placed nearby.